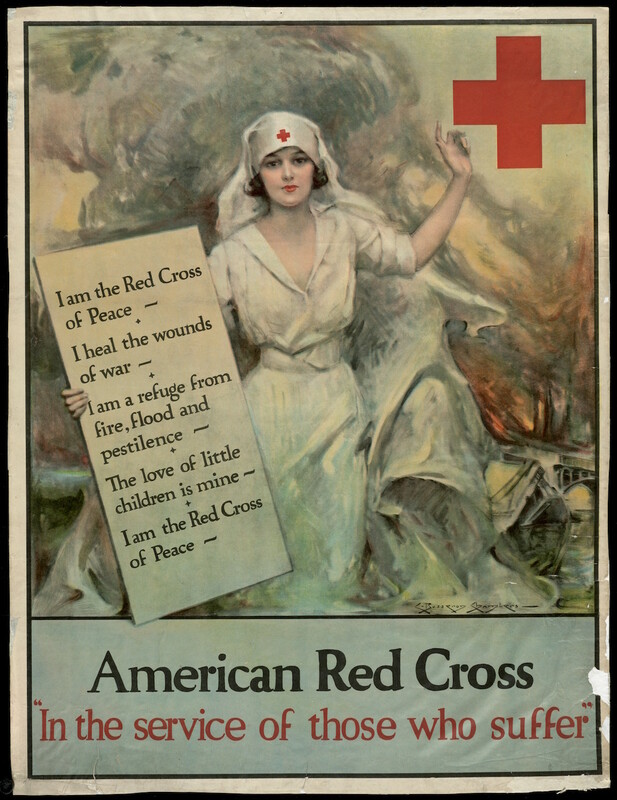 Before the official involvement of the US in World War I, most American Red Cross (ARC) posters included depictions of nurses to encourage the public to donate to the war effort in Europe. The nurse figure in early posters was typically not very feminine; she represented both the neutrality of the US and the Red Cross. However, after the US entered the war, the US Division of Pictorial Publicity (DPP) took over ARC poster production. The DPP used a more feminized nurse to catch attention and raise money. American National Red Cross, “American Red Cross In the service of those who suffer,” Digital Public Library of America, https://dp.la/item/fccad01ec570d49af2bf7a3a80555d1e.